*this blogpost is one of my reading summary series of History of Western Philosophy. For chapter 4, you can read here. 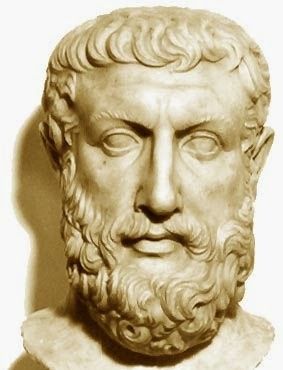 Parmenides was from Elea, was an ancient city of Magna Graecia, and flourished before 500 B.C. The south Italian and Sicilian philosophers were more inclined to mysticism and religion than those of Ionian philosophers who were more scientific and sceptical. Mathematics under Pythagoras' influence flourished more in Magna Graecia than in Ionia. However at that time, mathematics was entangled with mysticism. Parmenides was influenced by Pythagoras. What makes Parmenides important was he invented metaphysics based on logic. We will get to this very soon. "Thou canst not know what is not--that is impossbile--nor utter it; for it is the same thing that can be thought and that can be." "The thing that can be thought and that for the sake of which the thought exists is the same; for you cannot find thought without something that is to which it is uttered." We are not speaking of words, but of what the words mean. Parmenides assumes that words have a constant meaning. Let's take George Washington again for an example. He could use his own name or "I" as synonyms. He could feel his movement and his own thoughts. If his friends were present, they could still perceive him in person and use "George Washington" name as concrete experience. But, after his death, people who knew him directly didn't know him as concrete anymore but only through memory and perception. For us who didn't know him, the mental processes are different. We may look his picture and only consider him as "The man who was called George Washington". In other words, George Washington we know from history or books is still the George Washington because we can still use his name and in some sense he must still exist. Whatever we think of George Washington or whatever we know about him in the past is can't be really in the past. It exists now. This what Parmenides means that there is no such thing as change. So, if I talk about my dad, according to Parmenides, my dad is still alive. Any memories of my dad that I have can't be in the past. He still exists. Nothing changes. He is still alive. Thank you, Parmenides, for making my day! ^_^ Although I know it's just me still in denial or just trying to comfort myself. By the way, this is what Russell means before as Parmenides' important invention: metaphysics based on logic. ehm... Tapi, Parmenides sendiri bilang kalau senses (penginderaan) kita itu menipu dan hanyalah ilusi. Kalau aku baca dari buku ini sih, teori Parmenides ini lebih ke soal logika antara berbahasa dan thought (pikiran). Misalnya, George Washington tadi. Dia kan sudah meninggal. Kaena kita masih membicarakan dia, menurut Parmenides, George Washington itu masih hidup. Balik lagi ke teorinya yang bilang semua hal yang kita bicarakan dan kita pikirkan itu harus ada objeknya. 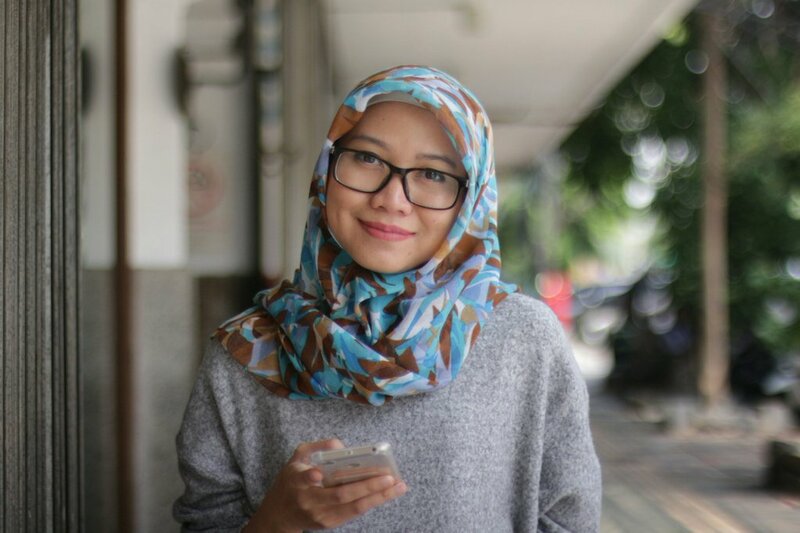 Dan semua words (kata) itu tidak ada perubahan arti. Jadi, George Washington itu pernah hidup dan akan selalu hidup karena tidak ada perubahan arti kata tadi itu. Itu menurut pemahamanku sih. Bagaimana menurutmu?